This is a novella about a band of thieves that have come together to steal a book of questionable safety. Mostly we follow the character Now you see it. He is a a priest of the trickster cult that allows him to conjure up items. They have been commissioned to steal the book by a demon and things get tricky from there. It took me a while to read this even though it isn’t very long mainly because I’m not a fan of male protagonists but Now is an interesting man with a strong set of rules that fits interestingly with his complete lack of qualms about stealing things. The story is set clearly into three acts so you really can read it in three parts as they are linked but also a bit separate. I’d like to see more of this world and there is some bonus material at the end of the book that gives you more of a view of the world this is all set in. I really enjoy good solid world building which this book has. The temples certainly play a central part in the city as the characters certainly end up in a few. As a high fantasy there is much to like from this story and I’d recommend it to anyone who likes high fantasy as it has the feel of a David Eddings novel but shorter. 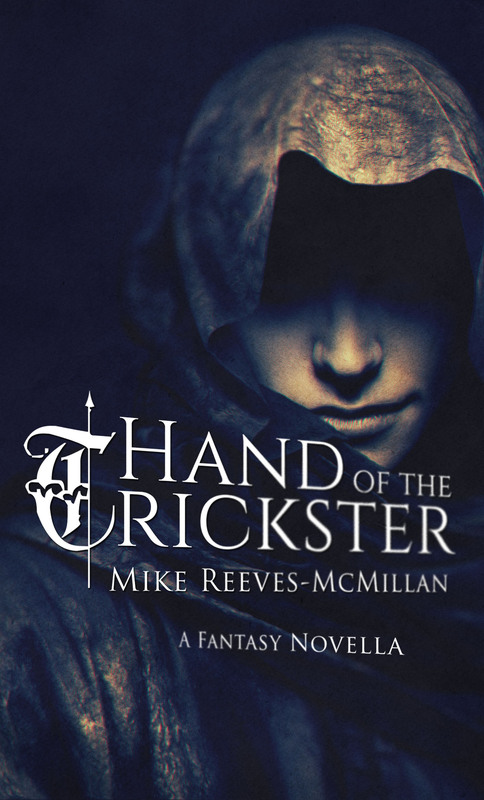 I thoroughly enjoyed reading both The Hand of the Trickster and Trickster’s Nab (the second book in the series). I also was fascinated by the god/mortal hierarchy and Now You Don’t’s unusual moral compass. I also liked the power limitations (Now You Don’t can’t conjure anything wider than his palm; Teller can only project appearances on people she is touching). The limitations let Now You Don’t’s problem-solving skills shine. I’d say the series so far is a lighthearted, fast-paced read. I am looking forward to the next story!